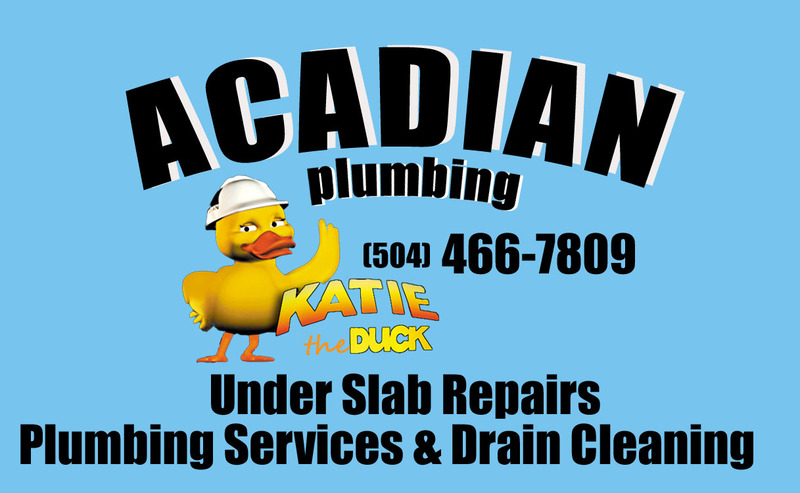 Acadian Plumbing offers the best residential and commercial plumbing services in the New Orleans Metro Area. We have superior training and plumbing experience, using the most advanced techniques to get the job done quickly and efficiently. We come fully prepared to your residence or business with a wide variety of plumbing parts, fixtures, and repair equipment. We also bring cleaning products to remove any water or residue which might have resulted from the plumbing problem and plumbing repair work. So, whether you need a clog cleared or a pipe inspected, call Acadian Plumbing today for the best New Orleans residential and commercial plumbing service.